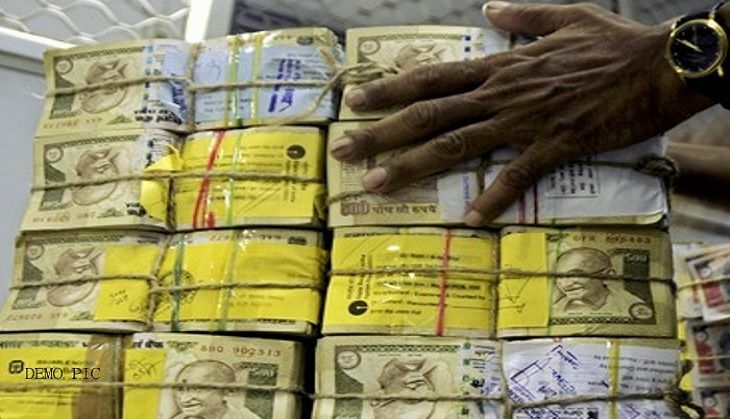 The estimate of $505 billion black money outflow from India by a US-based think tank is "heavily exaggerated", the Directorate of Revenue Intelligence has informed the Supreme Court-appointed SIT looking into cases of tainted money. Global Financial Integrity, a non-profit research and advisory organisation operating from Washington, had in its report "Illicit Financial Flows from Developing Countries 2004-2013" estimated that black money outflow from India for the period was to the tune of $505 bn (about Rs 34 lakh crore, as per current exchange rate). The report had created quite a stir in the country following which the SIT, headed by former Supreme Court judge justice MB Shah, had in February this year asked the DRI to ascertain the veracity of the findings. The DRI then sought relevant details from the Global Financial Integrity (GFI). According to the DRI's findings, the amount of $505,555 million-- which is trade misinvoicing from India during 2004-2013- is heavily exaggerated, official sources said today. They said the DRI report has been shared with the SIT, which is considering sending the agency's officials to select countries abroad, including the US and Switzerland, to assess the actual amount of illicit money. The sources said the actual amount of black money outflow - through trade-based money laundering - could be far less than mentioned in the report. "The exact assessment would be possible only when a team of officers go out and analyse all details. But it will be far less than $505 billion," a source said. The GFI, however, in its response to a PTI query on the issue, said the figures were consistent with the data provided by the governments of India and Switzerland to the International Monetary Fund. "GFI's illicit flows figures for India were consistent with the data provided by the governments of India and Switzerland to the International Monetary Fund. All our country estimates are derived from data provided by governments to the IMF. "What we did not know at the time of publication is that for several decades Switzerland did not report its exports of gold. It was due to this omission of data from official Swiss government statistics that caused the issue now being researched by DRI," said Tom Cardamone, Managing Director of Global Financial Integrity in an email response. He said Switzerland has recently begun reporting past gold exports to the IMF and we will incorporate that new trade data into our forthcoming annual update. The SIT, in its second report, has observed that since reports like those of Global Financial Integrity, which calculates illicit financial flows from various countries, are widely used in academic circles, it is very crucial to ascertain the veracity of such reports, as per the Finance Ministry release issued in February in which it announced that the DRI has been asked to look into the matter.